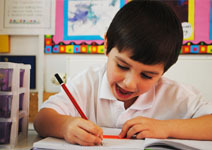 Fully qualified teachers teach at our office in Butts Green Road, Hornchurch. Inspiring young minds, in a fun and friendly way. "I was worried about taking the 11+, but Robbie made it really fun as he had lots of apps on his Ipad to help me." "I wasn’t too sure if tuition was right for my child at first, but she enjoyed it so much and achieved so well, we stayed with Qcontrol Tuition and my daughter got a level 5 for English, we were thrilled." 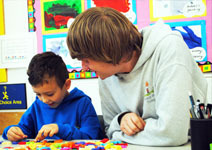 We are a group of fully qualified teachers, that teach one to one to primary and secondary aged children. We are strong believers that for children to achieve, one to one tuition is the best way for children to reach their full potential. Please don’t take our word for it, read our reviews from actual customers and students, to know what they have said about us. These quotes are taken from reviews which have been left on our business Facebook page. In our members area, children can access their "Education City" account, which has been set up for children to access their homework online. 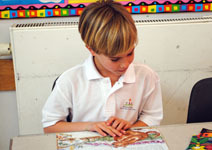 All our members of staff are experienced and fully qualified teachers. We each have an up to date DBS check (which replaced the old CRB check), and we all have our own specialised subject areas.